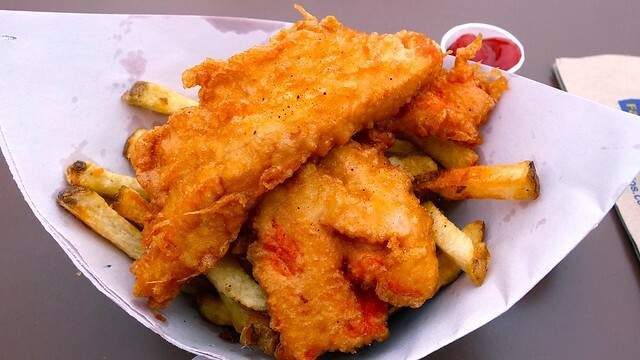 Lunch at Pajo's Fish & Chips at Steveston wharf in Richmond on June 5, 2012. Sometimes you just get a craving for some fried goodness. 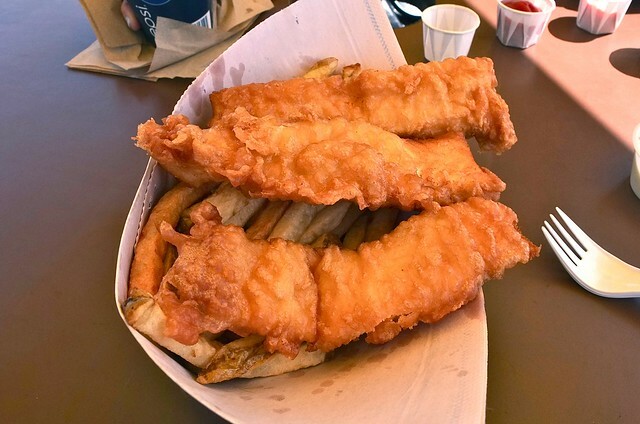 The little Richmond seaside community of Steveston is known for its plethora of fish and chip eateries. However, hands down, a trip to famous Pajo's dockside wharf location is a must. 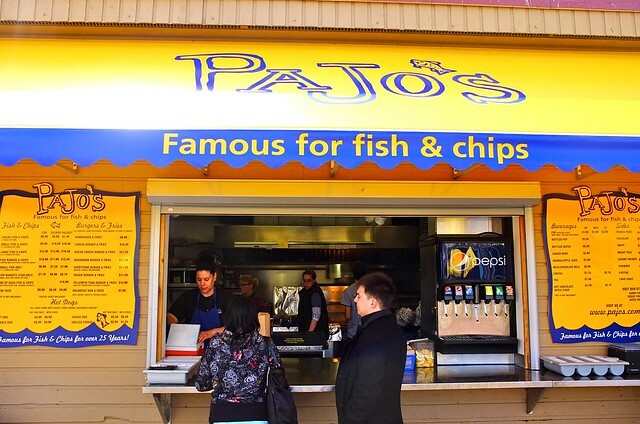 Pajo's fish and chips comes in three varieties of fish (from least to most expensive): cod, salmon, and halibut. I had the salmon (very top) and halibut (below). Both the salmon and halibut are very good. Not sure if the halibut is worth the extra sheckels, but the crispy dough and soft fish are delicious. 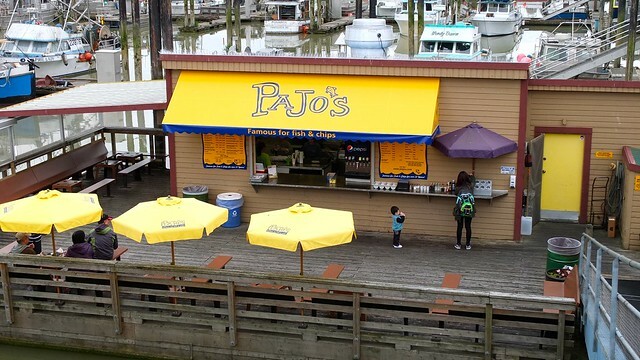 Pajo's is a summertime staple in Steveston and great for lunch on a sunny day if you're in the neighbourhood.